The Berry School sent this letter to the bank requesting A.W. Heard's address in order to thank the woman for her donation. Boston Safe Deposit & Trust Co. 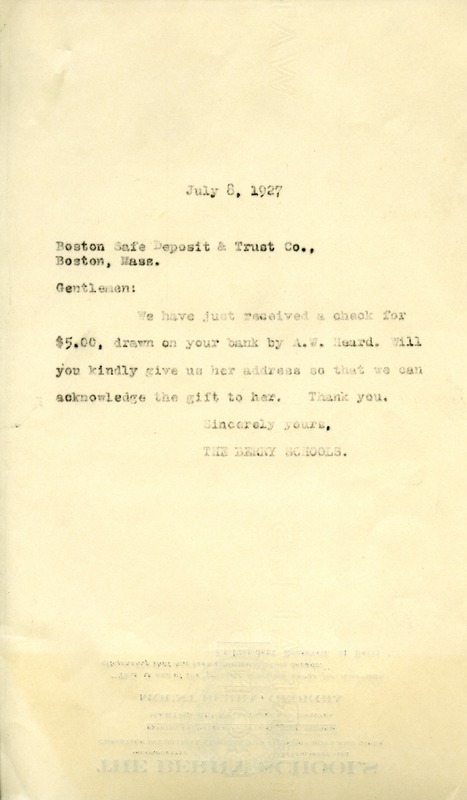 The Berry Schools, “Letter to the Boston Safe Deposit & Trust Co. from the Berry Schools.” Martha Berry Digital Archive. Eds. Schlitz, Stephanie A., Rachel Renaud, Clarissa Coffay, et al. 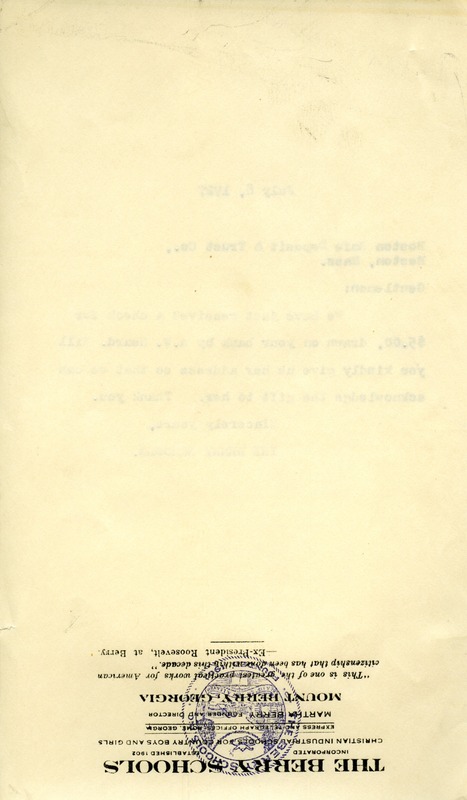 Mount Berry: Berry College, 2012. accessed April 20, 2019, https://mbda.berry.edu/items/show/4390.